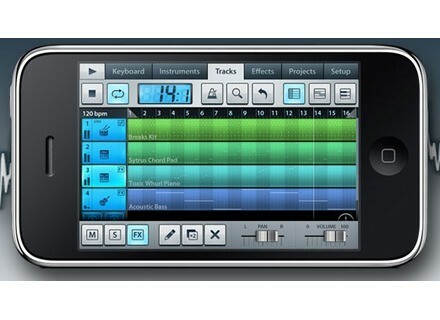 FL Studio Mobile, Workstation, DAW or sequencer for iPhone / iPod Touch / iPad from Image Line in the FL Studio Mobile series. 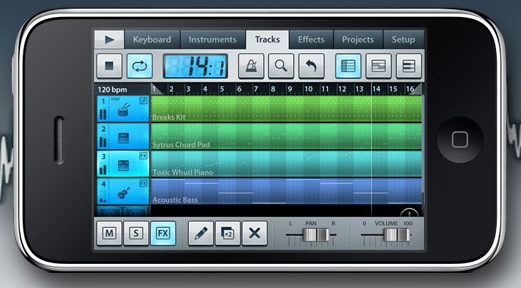 the FL Studio Mobile 1.1 Update is now available through from the App Store. For more details, head to www.image-line.com. [NAMM] Ignite Updates TS-999 SubScreamer Ignite Amps has released version 1.0.1 of TS-999 SubScreamer, a free overdrive effect plug-in. [NAMM] Kinsman Clamp-On Holders Kinsman introduces a new range of Clamp-On Holders for musicians. [NAMM] Line 6 MIDI Mobilizer II MIDI Mobilizer II is descended from the original MIDI interface for Apple iOS devices. This latest version supports CoreMIDI for compatibility with apps.